Avid golfers can take advantage of the extended daylight hours we enjoy in the north. In June, early risers can tee it up before 5:00 am and night hawks can still get in 18 holes after 9:00 pm. Whenever you choose to play, our generous fairways, lush grass greens and well-manicured tee decks will keep you coming back for more. Before, during and after your round, the staff at "The Bunker" are there to serve your needs with an expansive menu of food and beverages. Finish off your day enjoying a fabulous meal on the deck at the clubhouse overlooking either the 9th or the 18th greens. Kick back and relax with a beverage or two and let the stresses of your day just fade away. If you're just passing through, or looking for a perfect spot to park the RV for a bit, then our full-service RV Campground is ideal. Grab a spot right on the course and enjoy greenside camping at it's best! But make sure you call ahead to reserve your site. Get in on the action at Fox Haven! Just "friend" us on Facebook and follow along as we get through the golf season and celebrate our special events. 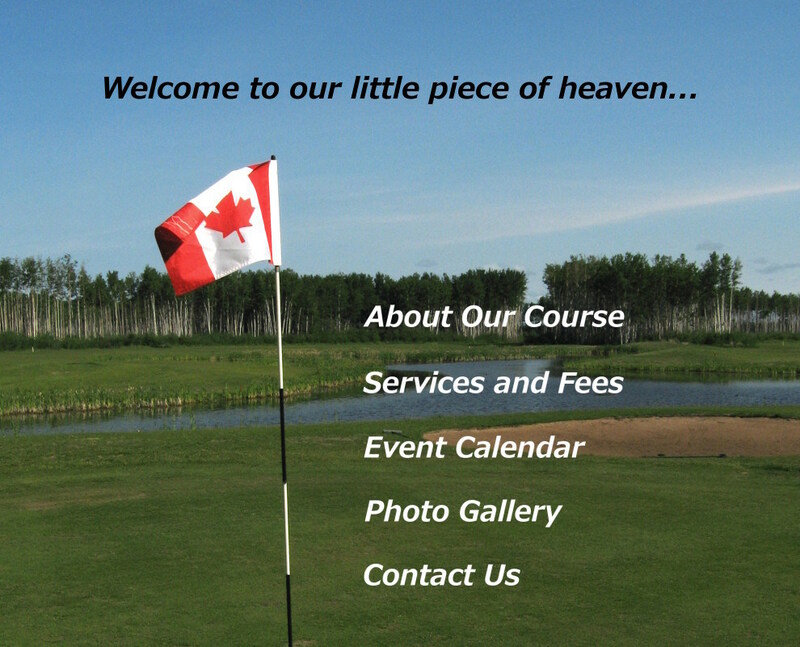 You can also email us at foxhavengolf@hotmail.com and we'll add you to our private contact list. We'll let you know about tournaments, events and special 'web only" offers... all at your fingertips (or touch-screen)! Just email the words "add me", and you're in!